Little Bean and Dallas Child Magazine are co-hosting a trunk show for the super dreamy line Clover NY this Friday. 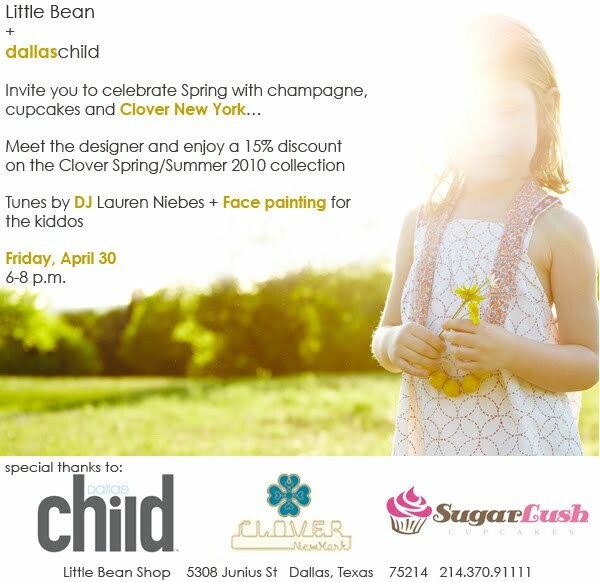 Clover's designer will be there + there will be champagne, cupcakes and face painting. 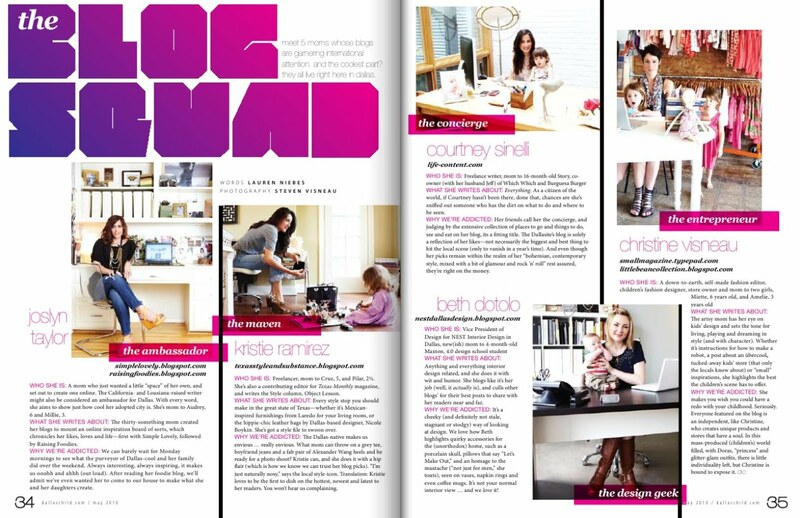 And speaking of Dallas Child Magazine, they just included me in a fun feature entitled "The Blog Squad" alongside some pretty rockin ladies (specifically Kristie, Beth, Courtney and Christine.) 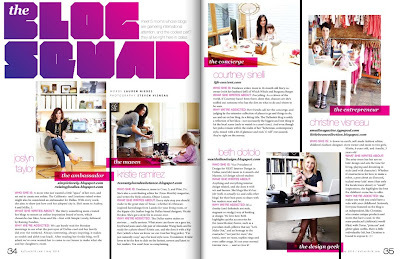 If you want, you can take a peek at the article here or here...so fun! Wow - congratulations! Cool write-up. congrats! you look lovely of course and what a nice write up!! Dang! What a smokin' photo of you Joslyn! :) Congrats! i'm always adding to my collection of Dallas blogs to read. thanks for the links and big congrats on the article, that's so great! I love that article! Congratulations, Joslyn! Congrats Joslyn, love the write up and that photo of you, wow. I also love your work space by trhe way.